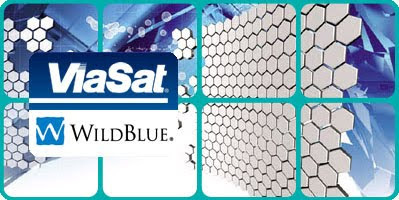 ViaSat Inc. (VSAT) agreed to acquire satellite-Internet provider WildBlue Communications Inc. for $568 million in cash and stock in a deal that comes as Liberty Media Corp., owner of 37% of WildBlue, is reordering its holdings. WildBlue, which provides high-speed Internet access largely to rural areas, is more than one-third owned by a Liberty Media tracking stock, Liberty Entertainment (LMDIA). Those operations are in the process of being spun off completely from Liberty Media, a deal which many have expected will ease a potential acquisition of DirecTV Group Inc. (DTV). Liberty Media owns 52% of the largest satellite-television provider in the U.S.
ViaSat, a provider of satellite and other wireless-communication products, said WildBlue has over 400,000 customers. The deal paves the way for an expansion of WildBlue's broadband service using ViaSat technology, including a ViaSat-1 satellite scheduled to launch in early 2011, ViaSat said. WildBlue developed its satellite in 1997 and launched its commercial service in 2005. By joining forces, the two companies seek to reduce the long-term costs and risks of expanding Internet access via satellite. The spread of these services has been impeded by hefty start-up costs, as well as technical challenges that historically made it hard for satellites to compete with cable- and phone-based rivals on price and quality. Under the agreement, expected to close between January and April, ViaSat will issue $125 million of stock, within a range of 4.3 million to 5.7 million shares. The company has about 32 million outstanding. It will also pay $443 million of cash, but the cost will be $68 million less when accounting for the cash on WildBlue's books. The company will need financing to pay for the cash portion of the takeover. WildBlue's owners, which also include Kleiner Perkins Caufield & Byers, Intelsat Ltd. and the National Rural Telecommunications Cooperative, will be able to nominate one person to ViaSat's board. The company reported improved results in its latest quarter amid what ViaSat Chairman and Chief Executive Mark Dankberg in August called a "robust" order pipeline. ViaSat's new satellite will have nearly all of its capacity aimed at regions where Wild Blue is most capacity-constrained, including large parts of the Eastern U.S. and sections of the West Coast. While initially targeting millions of rural customers for whom satellites currently are the only feasible way to access the Internet, the expanded service will eventually also compete head-to-head with broadband services provided by cable-television and telecom rivals in suburban areas. According to some ViaSat projections, the combined entity could attract as many as 35,000 customers a month. That would be a substantially higher rate than during Wild Blue's first months of operation.